Motherhood is the most important job in the world. 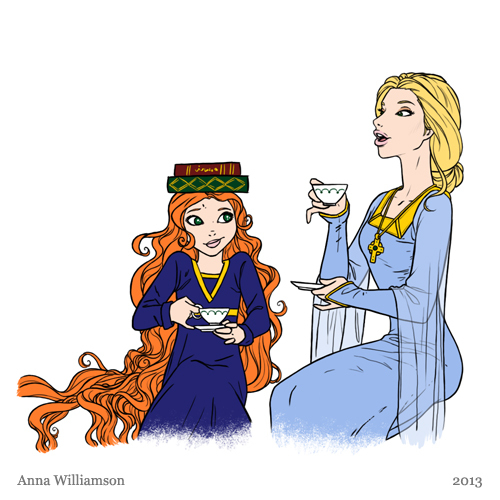 I thought I’d update an old sketch of the fairy tale princess having tea with her mother, who is teaching her little girl how to be a proper lady. Good posture and holding one’s little finger out are only the basics. 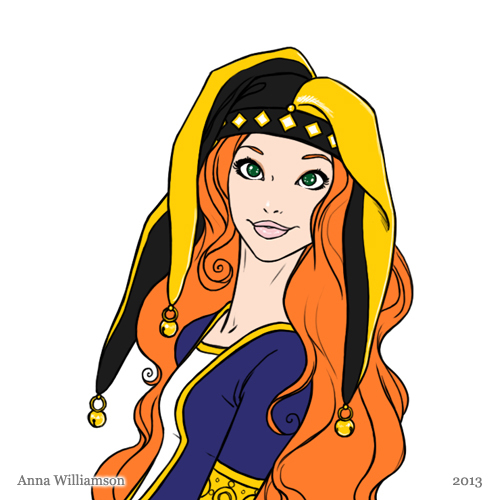 Since I’ve never been a prankster, I thought I’d just post a sketch of the fairy tale princess wearing a jester hat (or fool’s cap) for April Fools’ Day. I’m not sure how, but she has managed to make it look almost classy. 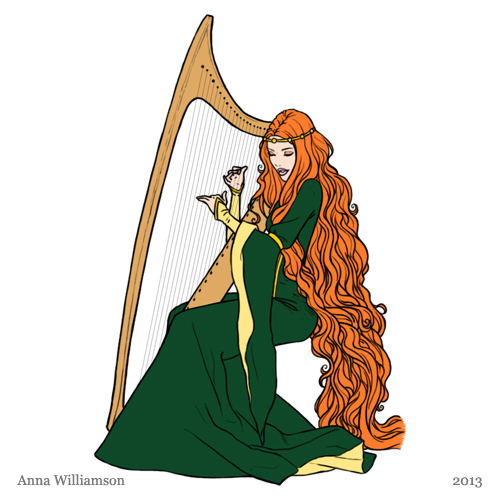 I never thought I’d draw my fairy tale princess looking so much like, well, a fairy tale princess. 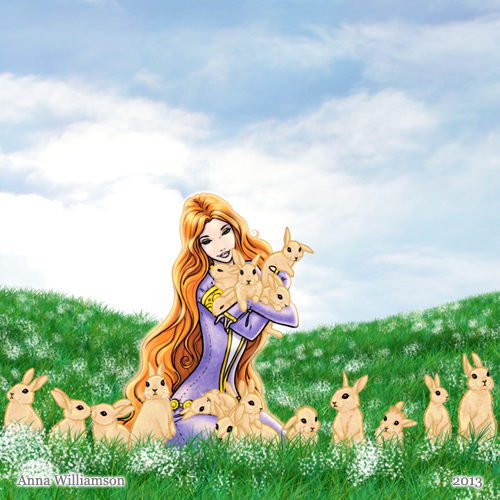 But how could I resist the chance of drawing so many adorable little rabbits? I hope everyone has a lovely Easter! Solitude is preferable to unwanted attention. If you’re alone this Saint Valentine’s Day, be grateful. 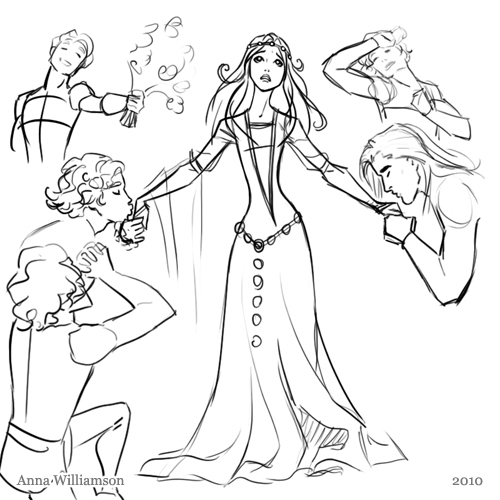 Here’s a little Valentine’s Day themed sketch of the fairy tale princess surrounded by a number of persistent Prince Charmings. Somehow I don’t think the flowers and hand-kissing are winning her over. The fairy tale princess wishes to cheer you on, that you might succeed with your New Year’s resolution! 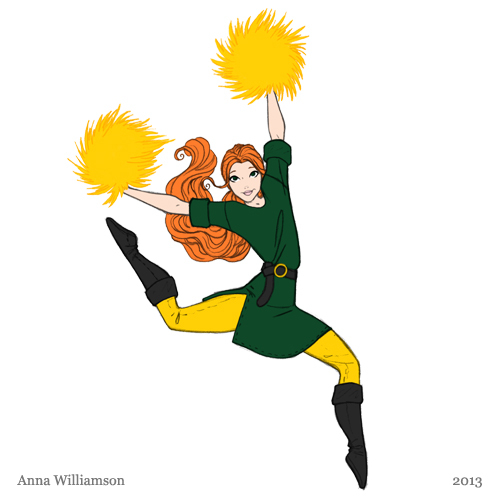 Because I was never a cheerleader, I put her in gold and green, my mother’s old squad/team colors. 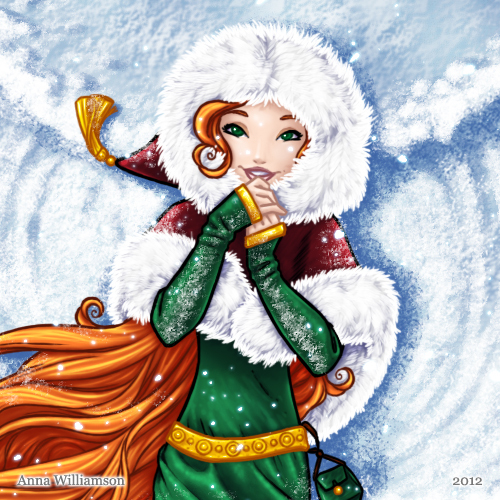 While trying to figure out what I could draw for a Christmas post, I got this image in my head. Perfect! 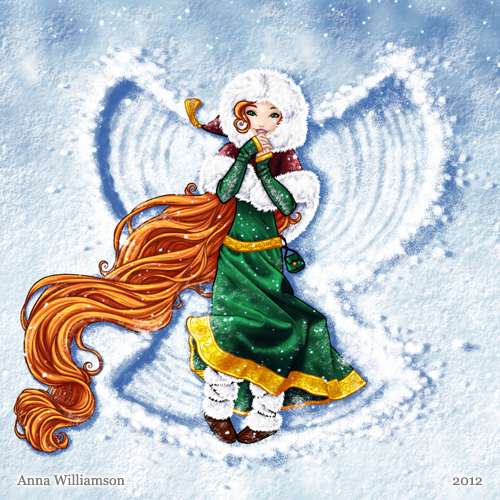 The fairy tale princess in her girlhood, making a snow angel. 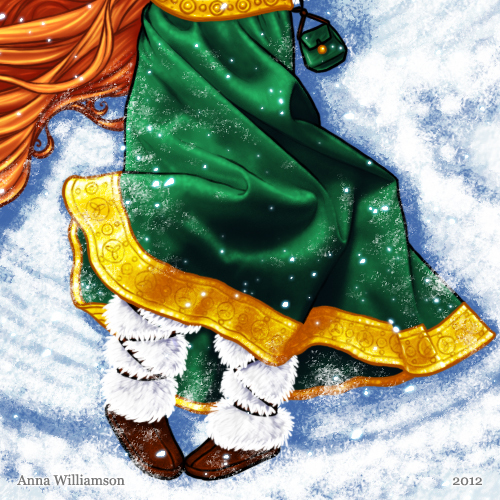 I decided to put her in a rich green dress because I love the color, and almost every single Christmas dress I’ve ever seen has been red. I wish you could see the trinity knots on the gold skirt trim better, but you’ll have to click on the thumb below for that. Not enough action for you? Take a look at my sister’s post!